Sunday 11th March – Has Spring arrived? 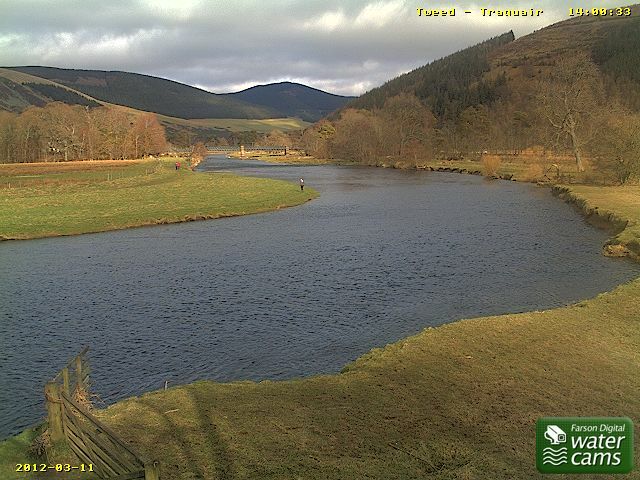 What a lovely spring day it looks today at the Traquair beat on Tweed. Is that greenery on the trees appearing? The participants in next weekends Deerstalker run at Traquair will be hoping so. Good luck to all taking part. On Tweed at Traquair, Kelso, Coldstream, on Ettrick at Philiphaugh, on Teviot at Eckford, and on the Till at Heatherslaw. This entry was posted in Uncategorized and tagged Angling, FishTweed, River Tweed, salmon, sea trout, Traquair, Tweed. Bookmark the permalink.